Rhapsody may not be “cool” (where I think you meant it as “trendy” and “hip” rather than “interesting” and “unique”), but it pays roughly 50 times what Spotify does to an artist per stream. Perhaps this is why many artist advocates in the music business consider Spotify the barest step above piracy. So, what was the “tipping point” that Spotify brings to the subscription model? Napster and Rhapsody do everything Spotify does. Spotify has a million paying subscribers, Rhapsody has 750,000. 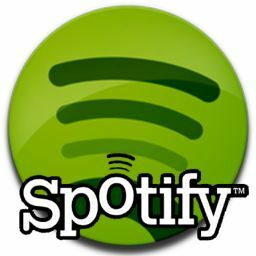 Spotify has 13 million songs, Rhapsody has 11.5 million. Rhapsody has been available on players for years, and I’ve been listening offline to my Rhapsody iPhone app for almost a year. Not that I’m particularly enamored of Rhapsody, which has its own problems, but I just don’t get the sudden epiphany people are having. But then, you lost me when you started stumping, nay shouting, about the “cloud”, which must be the single most vacuous and banal tech cliché in use today. Ugh. Rhapsody paying 50 times what Spotify pay per track played?! I think you relay need to check those figures, my sources say the opposite when it come to the majors. Not by much though but still absolutely not the figures you give in your post.